atmos is the latest to take a crack at the asics Gel Lyte III. The runner turned cult favorite is presented on an all-black base, with gold accents throughout and little dabs of white in between. What really makes the sneaker stand out is the gold and white splatter pattern on the midsole which is a nice addition to the rather somber colorway. 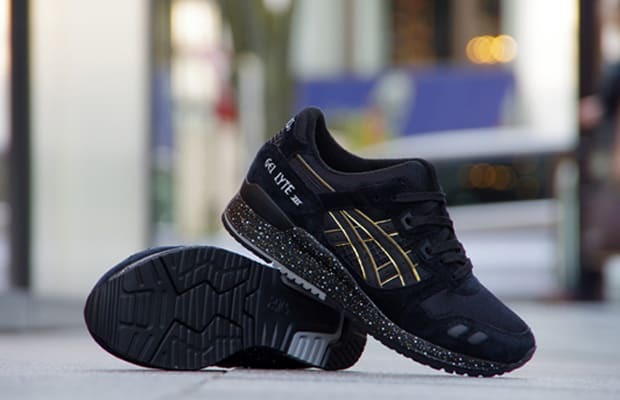 The atmos X asics Gel Lyte III is scheduled to make its way to shelves in mid October.